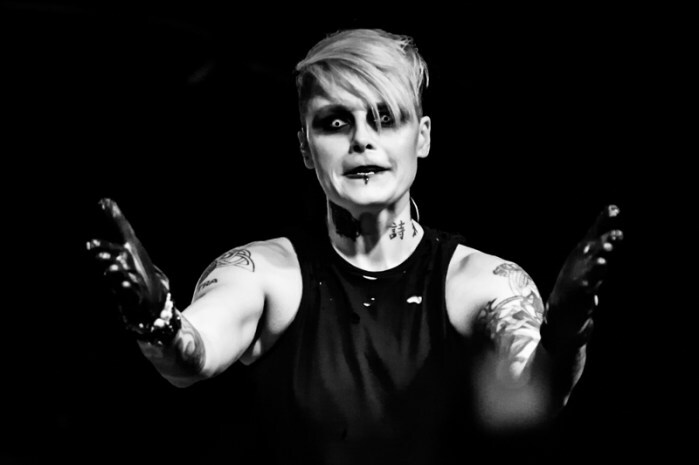 Late last month, iconic heavy rockers OTEP unleashed their most uncompromising, candid, all-inclusive and controversial assessment of the current residing political regime that they have ever released – the new album Kult 45. Following up on the release of their NRA-opposing music video for the track “Shelter in Place”, OTEP have revealed another new video for the anti-hate group, Nazi-stomping anthem, “Molotov”. Check out the new lyric video here. Kult 45 is available now in digital formats here, and/or CD and vinyl formats via the Napalm Records Online Store. You can also stream Kult 45 in full via Spotify here. While online, watch a new 20+ minute documentary about the making of Kult 45, performing together as a band, and more here. Throughout the span of her career, Otep Shamaya has been an undeniable force in bringing awareness via various acclaimed mediums to the social and political injustices felt by various communities and subcultures. For years, publications such as Revolver Magazine have lauded Shamaya for “following in the footsteps of outspoken musicians from folk singer Woody Guthrie to Rage Against The Machine‘s Zach de la Rocha“, dubbing her “one of music’s catalysts for social change”. So, with the political climate as it is today, now it’s the perfect time to impact with Kult 45. Kult 45 was recorded at The Lair in Los Angeles, completely utilizing the same equipment used for OTEP‘s first album, Sevas Tra (down to Shamaya‘s vocal microphone, a SHURE Beta 58), in order to create a sound reminiscent of their roots. Kult 45 was self-produced by Otep Shamaya and Aristotle, with assistant engineering from Larry Goetz, Nicolas Schilke and Lizzy Ostro.